Flex is Quooker’s latest innovation. 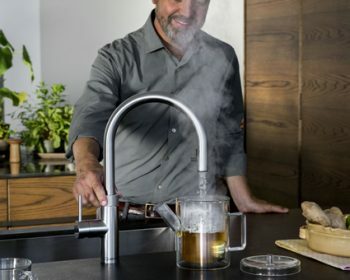 The world’s first 100°C boiling-water tap, equipped with a flexible pull out hose for hot, cold and filtered cold water. To see the new Quooker flex in action visit our showroom. 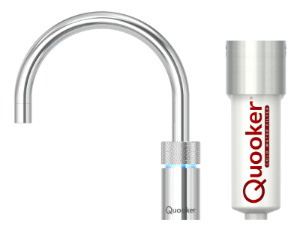 Quooker gives the blue light for cold filtered water on its Nordic single taps. 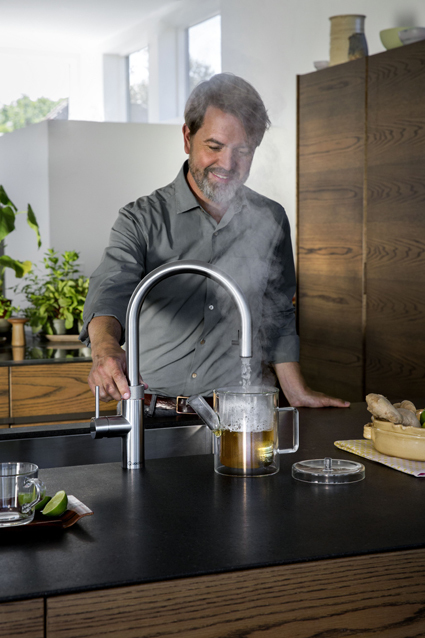 The integrated water filter accessory, can now also be added to any new Nordic single tap, enabling it to dispense cold filtered drinking water; as well as the 100°C boiling water. In this latest development, the Nordic single tap will now also feature the celebrated double push and turn. Push just once and turn, and a new, cool blue LED light will shine, to indicate that the water filter is being used. Push twice and turn, and the now familiar red LED safety light will be illuminated, to make the user aware that 100°C boiling water is being dispensed. 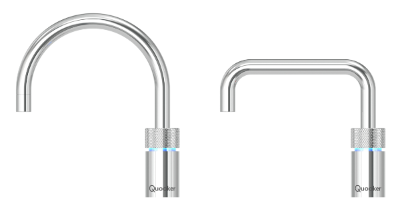 for more information on Quooker taps pop in or call us on 01323 301606.